Well this is quite exciting! A white wine cask from SMWS! I was unfortunately too rushed during the preview tasting to ask about what white wine was used but I’ll update this post once I find out. 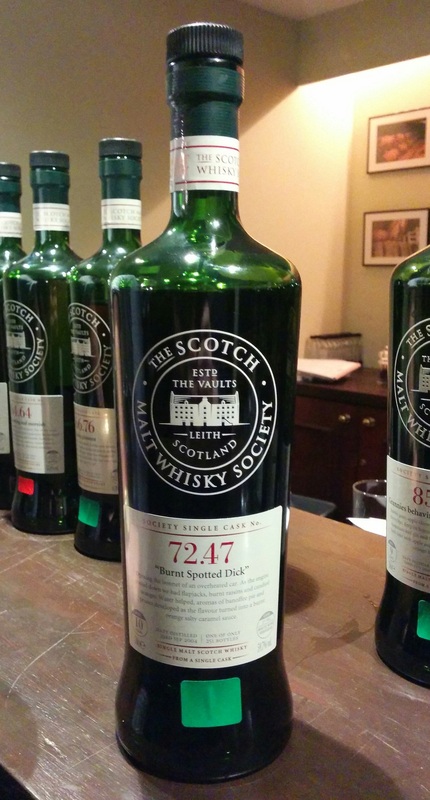 There were two white wine cask matured whiskies in this outturn with the other one being the Ardmore SMWS 66.76. Both of these have similar ages so I suspect SMWS got their hands on a few white wine casks around that time. Could mean there are some more still maturing for later bottling! There aren’t too many white wine cask matured whiskies out there but the most notable one in my mind is the Glen Moray Chardonnay Cask which is a stunning example of value for money. Alright let’s dive in! Honey cinnamon caramel toffee syrup tiramisu. Roasted nuts line almonds and pecans. Really fascinating and different. It’s a huge integration of sweet aromas with spices that reminds me of Christmas. Cinnamon and other sweet spices, cloves and dried orange peels. Colander. Vanilla and Irish cream. Very interesting and different. Really complex and nice. Really warming. Peach cobbler too. Lots of sweet spices like cinnamon and lavender. Potpourri. Super complicated. Sweet sweet dried flowers. AliceInWhiskyland was not able to drink at the event but she nosed of all the whiskies I tried. From the nose this was her favourite. I’d have to agree about the nose. It stood out from all the others I tried this evening and in a very good way. I really enjoyed how different this one was. It’s a bit funky so some may be offput by it but if you like something a bit different (which I very much do) then this should be right up your alley. I’ll definitely be purchasing a bottle of this.